The present city of Hisar, one of the important cities of North India, is located at 2905’5″north latitude and 75045’55” east longitudes. It is situated one hundred sixty four kilometers west to Delhi on the National Highway number ten. Hisar city is one of the important and fast growing urban centers of Haryana. 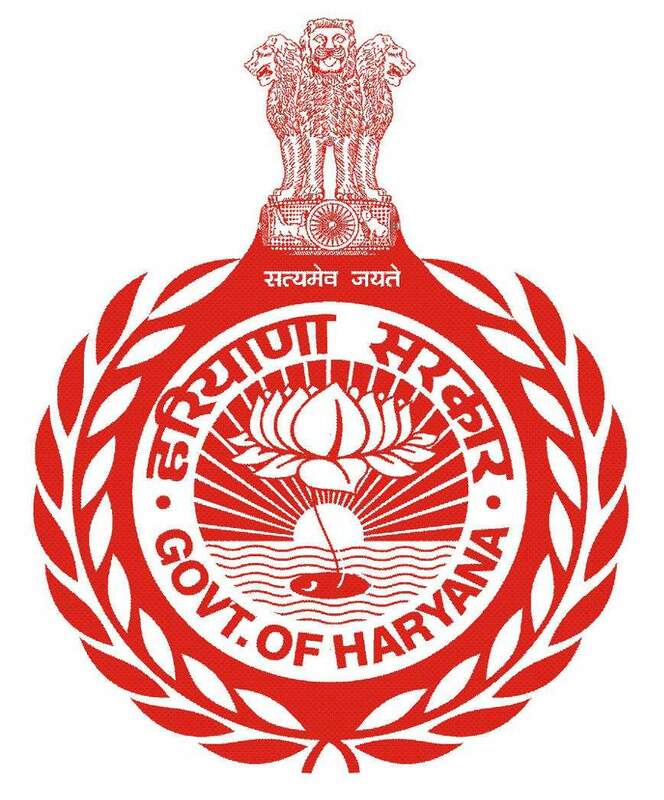 It has grown to a vital position on the urban map of Haryana. It has come up because of location factors. Its location is such that for any development away from the G.T. Road Hisar draws the attention. The city is catering to the needs of not only the population of the district but also to the population of adjoining areas of Rajasthan and Punjab. People from Punjab and Rajasthan come here for medical treatment, for the purchase of good quality seeds, cows, buffaloes, bullocks and sheep etc. and also to get good education. Very hot summers and very cold winters. The maximum day temperature during the summer varies between 40 to 46 degree Celsius. During winter its ranges between 1.5 degree to 4 degree Celsius. The winds are strong and frequent during May to July. Normally the South Westerly current of summer monsoon brings the rains during July to September period. Intermittent dust storms are also common. The climate of Hisar owes to its continental location on the outer margins of the south-west (SW) monsoon region. It has tropical monsoonal climate and is characterized as arid type of climate. The district has characteristically four seasons during the year viz., Summer (March to May), SW Monsoon (June to September), Post-Monsoon (October to November) and Winter (December to February) season. SW monsoon also known as summer monsoon brings rain during last week of June to mid-September. The period from October onward until next June remains almost dry except, few light showers received due to westerly depressions/western disturbances (WDs). The summers are generally quite hot and winters are fairly cool. The main characteristics of climate of in the district are its dryness, extremes of temperature and scanty rainfall. Rainfall: Around 75 to 80 per cent of the annual rainfall is received during SW Monsoon season (June to September) with 50 per cent coefficient of variation (CV). The average annual rainfall is around 450 mm, of which the average monthly rainfall received during July and August months is 133.4 and 116.2 mm, respectively. The average monthly rainfall during September is 54.5 mm and June 49.8 mm. The average rainfall received during monsoon season is around 354 mm. The annual highest rainfall of 793.6 mm was recorded in 1976 and the lowest of 145.2 mm in 2000. About 10 to 15 per cent of the total annual rainfall is during the winter season which is caused due to WDs. The average number of rainy days (day with rainfall = 2.5 mm is called a rainy day) per annum are 27±5 days out of which 19 falls during SW Monsoon period. The highest number of rainy days occurs during the months of July and August and lowest during November and December. Temperature: Air temperatures during summer are quite high at Hisar, the maximum value of which touched 48.3°C in May, 1944. However, with the onset of summer monsoon, the temperature ameliorates and falls in the vicinity of 35.0°C. The lowest temperature recorded at Hisar is -3.9°C which occurred in January, 1929. The sub-zero temperatures (frost conditions) are not uncommon during winter season. The maximum temperature in summer months between 40 to 44°C and the minimum temperature between 4 to 6°C in winter months are normal for the place. The annual average maximum and minimum temperature at Hisar is 31.5 and 16.2°C, respectively. Humidity: The April and May constitutes the driest period in the year since the lowest relative humidity is recorded during this period. The relative humidity increases with the onset of monsoon during the first week of July and which again falls with the withdrawl of monsoon after mid-September onward. During winter months, relative humidity remains significantly high. Relative humidity varies from 5 to 100 per cent during the year at Hisar Sunshine: October to April are generally sunny months receiving more than 70 per cent of the total possible sunshine hours. February to May and September to December months receive an average of more than 8 hours per day of bright sunshine. Whereas, January ,July, August and December recorded little less sunshine viz., 6 to 7 hours per day because of cloudiness due to rain bearing weather systems. Winds: Monthly mean wind speed values are varying between 4 and 10 kms per hour. The North-Westerly cold winds prevail in the months of December, January and February. The prominent prevailing wind directions are Westerly, North-Westerly, South-Westerly and South-Easterly. A hot and dry South-westerly wind (Loo) also prevails in May and June months. Evaporation: Evaporation during the summer months remains above 12 mm/day. However, during rainy and winter seasons, average value of evaporation remains around 6.8 and 4.0 mm/day, respectively. The maximum rate of evaporation was also recorded 25.6 mm/day under Hisar conditions. Dew: The highest amount of dewfall is observed in December and January, whereas, lowest in April and November months. Occurrence of dew takes place during September to April. The total seasonal amount of dewfall is around 25.0 mm. Special weather phenomenon: Occasionally dust-storms are experienced during summer months and hail-storms during February to April. Fog prevails generally in December and January months. Thunder-storms also occur during post monsoon season and summer months.